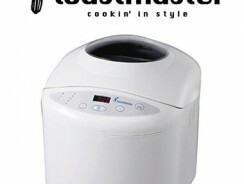 Toastmaster TBR15 is a bread maker that bakes a horizontal loaf with very positive reviews at a low-price. 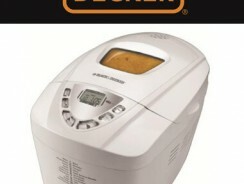 A Review of the Black & Decker B6000C Deluxe 3-Pound Bread Maker. 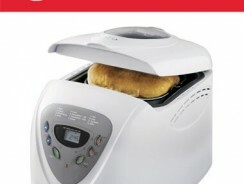 A bread machine that bakes a 3-pound loaf at a good price with good reviews. Review of the Sunbeam 5891 2-Pound Programmable Bread maker. A low-priced machine with significant features and very mixed reviews from owners.  Comparison Review Between the Breadman BK2000B and the DeLonghi DBM450. Two mid-priced bread machines with significant differences. From Irish soda bread to a Reuben rye bread we’ve got it all covered including an Irish soda biscuit with corned beef gravy. A variety of beers from malts to ales to stouts work perfectly in your bread machine in many bread beer recipes. Here are 3 simple, yet delicious recipes. Yes and no. You should definitely lift the lid during the kneading cycle. You want to check on dough ball integrity. If the dough appears loose and watery you should add a tablespoon of flour and give it a minute and see if the dough has thickened up. You want to end up with a nice, smooth dough ball in the machine. If the dough ball appears to be too dry, add a tablespoon of water at a time to loosen it up. If one tablespoon doesn’t do it, add another until you get the desired result. However, you should try avoid lifting the lid during the rising and baking cycle. Even a room temperature draft can cause the bread to sink or fall. Yet, there are times when a recipe calls for you to lift the lid as your approaching the rise cycle or after the rise cycle. Some recipes call for a topping of nuts, cheese, garlic, chocolate chips or other types of toppings like herbs or an egg glaze. In those instances you should be prepared and lift the lid after the rise and top the bread as quickly as possible and immediately close the lid and make sure it’s down tight. In fact, some toppings like cheese or chocolate should be added to the top towards the end of the baking cycle so they don’t burn. Here again, do it as quickly as possible. You’ll find that some bread types hold up better to draft than others. Whole grain and sourdough breads are a bit more resilient to drafts, while white breads are the most sensitive. The trick to preventing the bread from falling is to only open the lid during the rising and baking cycle when you absolutely have to and depend on the viewing window and a small flashlight to check progress. If you’re lifting the lid just to take a peak you’re risking a sunken loaf. Sorry for the mistake! It should be 1 cup buttermilk. You can, but the sugar is one of the things that helps the jelly to gel. If you reduce the sugar by 3 cups try adding 4 ounces of liquid pectin. It’s sold in the baking aisle in grocery stores by the jello. There’s always a challenge when making a cake bread. You can tell when something is a cake bread because the recipe calls for baking soda and/or baking powder instead of yeast. The test for doneness is to insert a wooden skewer or knife into the center when you think it’s done. If the knife or the skewer come out wet it means the cake bread needs more time. There are settings on most bread machines that let you add baking time. I would start with 10 minute increments and test again with the skewer or knife until it comes out dry. If you don’t have custom settings on your machine you could try the 2.0-pound loaf setting or take the entire loaf and finish it in the oven on a baking sheet at 425 degrees Fahrenheit, again testing the center every 10 minutes. The outside of the loaf will have enough integrity to support the loaf in the oven. I hope this helps. The size of the pan depends on the final size of the cut buns. 12×9 could work but if they are to snug you want to find a larger pan. Larger is better if in doubt. With regards to the butter it should be as indicated: 2 tablespoons. It’s used for the glaze spread over the rolled out dough before it’s rolled into a log for slicing. There are 3 teaspoons in a tablespoon. As the article explains, many ancient grains are low in gluten. Bread flour can compensate but many of the recipes indicate yeast up to 2 ½ teaspoons. If you felt your effort with the recipe rose to high, let us know. We kitchen test every recipe and this one worked in our kitchen at 1 tablespoon of yeast. Either one will work. Bread flour has more gluten but all-purpose has gluten too. 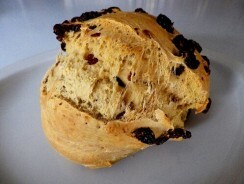 This is a cake bread so gluten is less of an issue because there is no yeast and gluten is the favorite food of yeast. 425 degrees Fahrenheit for 40 minutes to an hour. Insert a toothpick in the center of the loaf. If it comes out wet, bake for another 10 minutes and retest until the toothpick emerges dry. 3 cups of flour are the typical measure for a 1.5 loaf. If you are working from a recipe for a 2 pound loaf, cut the ingredients by a third. If you want to make a 1.5 pound loaf with a recipe for a 1 pound loaf, increase the ingredients by a third. That could work. You could also add some rice flour or buckwheat flour to keep it gluten free. You may have to experiment a bit but if it helps your husband for the long term it’s worth a little trial and error. 1 cup of flour and a tablespoon of warm water. Yes, you can replace the all purpose gluten free flour with Almond flour. Yes, you use yeast for a bread machine instead of the xanthan gum. I HAVE TO DO SOME RESEARCH HERE. It was kitchen tested but I’ll also cross-reference with other similar recipes on the Internet to see if there’s variance or any identification of problems. Gluten free does present challenges due to the fact that yeast want gluten to grow and cause a bread to rise. It doesn’t have to be soy lecithin. There are typically two reasons why a loaf will fall during the baking process in a bread machine. 1. Yeast integrity. The best yeast to use in a bread machine is actually called “Bread machine yeast.” It comes in a jar and while it appears expensive it’s actually a great value considering the amount of yeast you get for the money. What few people know (and the yeast manufacturers never tell you) is that all yeast should be kept refrigerated after purchase. Yeast is a dormant organism ( a form of fungus) and both time and temperature will compromise the health of the yeast resulting in a less effective rise overall. 2. Drafts or air leaks from the bread machine lid. A draft of cooler air over the surface of a loaf can cause the loaf to fall while rising or baking. Typically this happens when people lift the lid during the baking cycle to see how the loaf is doing. It’s okay to lift the lid during the kneading cycle, but never lift it once the loaf starts to rise and bake. Even if you don’t lift the lid, a lid that does not seal tightly can also allow cooler air to enter the baking chamber. This is a mechanical defect. Any lid on a bread machine should close with a firm seal without extra effort. If your machine is still under warranty you might want to consider returning it if the yeast or the lid solutions don’t work. A loaf that has fallen is still good to eat, it just doesn’t have the look most of us want when we put our fresh bread on the table. Yes, you can add walnuts. This bread will be good at room temperature if wrapped or bagged in plastic for one week. If kept in the fridge, it will be good for up to two weeks. If frozen, good for up to a month but you’ll need to thaw or toast a frozen piece first. Regardless of how you store it, make sure you wrap it up somehow or it will dry out and harden. Pie dough does not need to rise and the basic dough setting has a rising cycle towards the end of the setting which not only extends the total time in the machine, but subjects it to heat to help thea yeast dough rise.. Pie dough more butter if any yeast. You can use the basic dough setting, but take it out before the rising cycle starts after the kneading cycle. If your machine has a pasta dough setting or cookie dough setting that would be ideal because they also omit the rising cycle and will give you a blended dough not subject to the heat of a rising cycle. Pie dough has a lot of butter or shortening and the heat from the rising cycle in a basic dough setting would compromise the pie dough. Ancient grains are typically defined as seed grains from weeds used before grassy grains like wheat or rye were cultivated. They include Amaranth and Quinoa which are seeds from the flower stalks of weeds. Ancient people improvised and did the best with what they could forage and gather. 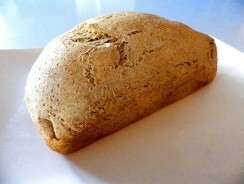 If you want to make a truly ancient bread, use a flour made from amaranth and quinoa and maybe a rice flour. Some stores like Whole Foods and others have these grains and flours. These combinations go back 3,000 to 4,000 years across cultures including MesoAmerica. Just know they are low if not absent of gluten so you may have a dense bread unless you add a product called “vital gluten” or you can just go ancient and chew on the relatively unleavened bread. Good for you for connecting to our distant past! You might have to experiment a bit to get it right or to your taste. But then again… ancient people did the same thing. Hi, you can use either fresh-grated coconut or the coconut flour. I prefer the fresh grated coconut or you can split the difference. I use a regular, serrated bread knife. Also, When slicing bread with a bread knife, let the knife do the work. Saw back and forth without too much pressure and start your slice towards the back of the bread and work the sawing action towards you. The critical thing is to keep you total loaf proportion to 4 cups of flour and adjust the amount of water by reducing the total water by 1/5. You would also apply this 1/5 reduction to other ingredients like yeast, sugar and salt but those proportions are less critical than the flour and water. If you make a 2.5 pound loaf in a machine that only has a 2 pound capacity the bread can overflow at the top after rising and can burn on the inside of your machine. That makes for a very tough cleanup. And of course you can delete the oat bran and increase the rye or other flour type to take its place. Just make sure you don’t exceed the 1/2 cup proportion indicated for the oat bran. You’ll still get a great multi grain result. Let us know if this works and if you have any problems we’ll work with you to sort it out. #1. This may be a yeast problem. The best yeast to use is actually called “bread machine yeast.” It’s sold in a jar and costs from $6 to $8 USD. That may seem expensive but when you consider the quantity of yeast you get for the money it’s a very good value. #2. Always store yeast in the refrigerator whether it’s in a jar or a packet. Yeast is a dormant, living organism. It’s actually a form of fungus. When it comes in contact with warm water, flour and sugar it begins to multiple and give off a waste product: carbon dioxide. It’s the carbon dioxide that literally inflates the dough and causes it to rise. #3. Measure all ingredients precisely. Use a dry measure cup for things like flour or oatmeal and run the back of a knife across the top of the cup to get a precise measure. Do the same with teaspoons or tablespoons. Baking is like alchemy and is very unforgiving if measurements aren’t precise. #4. Any liquid added to a recipe like water or milk should be 110 degrees Fahrenheit or 43 degrees Celsius. This is easy to do with a microwave oven. Put one glass of water into the microwave on a high setting for 40 seconds. You will find you are very close to the temperature. This is another critical step for yeast. Yeast likes warm water or warm milk. #5. Add ingredients to the bread pan in the order indicated in the ingredients section of the recipe and always add the yeast last, on top of the flour or other dry ingredients. #6. Try using bread flour as an added ingredient. Bread flour is the highest in gluten and yeast loves gluten. It costs a bit more than all-purpose flour but the results are worth it. #7. With regards to “activating” yeast this step is sometimes referred to as “proofing.” It’s rarely done with bread machine recipes. It involves adding the yeast to warm water and a sweetener like sugar or honey to give the yeast a head start for flours that are low in gluten or gluten-free and even then, that’s not always necessary. There are two ways to handle the paddle the insert. #1. Pull the dough ball out of the bread pan after the rising cycle and before the baking cycle and physically remove the paddle. Return the dough ball to the bread pan and let the baking cycle continues. It will still leave a small hole but it will be no larger than a pencil about one-inch deep. #2. Remove the entire dough ball from the bread machine after the rising cycle and place into a buttered or oiled bread pan. Let rise again for 30 minutes and bake in a pre-heated oven at 350 degrees Fahrenheit or 176 degrees Celsius for 30 to 40 minutes. Hi Liz, I’m not sure that cutting the sugar in half is a good idea and it has nothing to do with sweetness. Sugar and heat are two of the things that help a liquid or fruit to gel into a jelly or jam upon cooling. If the recipe also calls for the addition of pectin, that would compensate for less sugar. If it doesn’t you might end up with plum syrup. The key to making any cake in a bread machine is to ensure it has a “cake setting.” Without that setting you can still use the bread machine to make the batter using using the pizza dough or pasta dough cycle or use the bread dough setting but remove the batter before the dough setting tries to cause the batter to rise. Cake breads or “batter” breads don’t have yeast in the recipe. They usually have baking powder and/or baking soda so the cake will rise in the oven. The typical oven setting is 425 degrees Fahrenheit for 45 minutes but you need to insert a knife or wooden skewer into the center of the bread to make sure it’s done. If it comes out wet add another 10 minutes. In the article and the recipes a lot of these tips are covered along with solutions to both using the bread machine for the full baking cycle or baking and finishing in the oven. Hope this helps. You’re in luck. Because this is a cake-bread or batter-bread recipe you don’t need sugar to feed the yeast. Batter-breads rise towards the end of the baking cycle because they depend on baking powder and/or baking soda, Any sweeteners are for flavor rather than a fuel for yeast. You may need to adjust your amount of Stevia or honey as you continue to experiment, but this should be a good starting point. You can make cherry jam. The cherries need to be pitted and chopped in a food processor or blender. You could also reduce them to cherry juice in a juicer or strain after using the food processor or blender. The best recipe would be any recipe for berries like blueberries or strawberries. You may need to add some pectin (Knox gelatin) to help firm up the jam or jelly which is a standard addition to any jam or jelly made with juice. Yes you can substitute honey for sugar in a jam or jelly recipe in your bread machine, but here are a few things you need to be aware of. For one, natural sugar has certain gelling or setting properties when brought to the proper temperature. This helps the jam or jelly to set and create a firm texture. Honey lacks some of these properties. There are two solutions. One is to use fruits high in natural pectin. Pectin is a thickening agent that creates a gel. These fruits include: Peaches, apples, oranges, grapefruit and apricots contain the highest amount of pectin among fruits. For example, one small peach contains 0.91 gram of pectin, while 1 cup of apple slices contains 0.654 gram of pectin. Good news and bad news if you want to make a jam or jelly and don’t have a jam or jelly setting on your bread machine. The good news is you can use the basic white bread setting to mix, mash and start your jam or jelly. The bad news is that the jam and jelly setting on bread machines gets to a higher temperature than any other setting on the machine. The setting also maintains the heat longer. The high heat is necessary to allow the sugar, gelatin or pectin and the natural pectin in fruit to sufficiently gel when chilled. You could start the white bread setting again and run it for a second time. Unfortunately that would take about 7 hours to run the basic white setting twice. The best solution is to take the fruit syrup either directly from the bread machine or from your jelly jars and pour it into a saucepan and heat it over medium-high heat until it comes to a boil. You have to stir constantly. Once it starts to boil reduce it to medium to medium-low heat. You want the bubbling to continue, but if it becomes robust you could get burned. Sugar in anything makes everything extremely hot. After 5 minutes of gentle boiling and constant stirring, remove the saucepan to a cold burner and let it rest for 5 minutes. Pour it back into sterilized canning jars and seal, let rest at room temperature for an hour and refrigerate. You should have a better result and a consistency more like the jam or jelly you want. One thing to keep in mind you do anything like running a setting or finish on the stovetop, you should try the basic white bread setting; jar the jelly or jam and assess the result after refrigeration. Most bread machines do a double knead and double rise cycle. It’s not the machine but the ingredients and how you have combined them. Measure carefully and add the yeast last on top of the flour. This is an unusual occurrence considering that you have had mixed results. Hi, just skip the dry milk ingredient. Adding liquid milk will affect the consistency of the dough. The proper water temperature activates the yeast at the outset. It will maintain long enough to give the yeast the best chance to grow and rise in the dough. It will cool down eventually, but by then the yeast has started to do its job. No need to reduce the juice. The sugar and the recipe make it all work. Jelly made in the bread machine can be jarred and processed in a water-bath. Check canning timetables on the Internet for jams and jellies to determine the proper amount of time.